Wolf Spiders are found throughout the country in and around our freestone rivers and streams, in particular. The buggy imitation is an effective searching pattern, a familiar profile and recognisable food item. It can be fished in all types of water, through runs, plunge pools, riffles and pockets. Concentrate on the edges of current seams and next to undercut banks and below over-hanging vegetation. Cast upstream or upstream and across. It should be fished in the usual dead drift fashion as is done for most terrestrials. It’s worth adding the occasional twitch in the drift to skate the fly a few centimetres to give the perception of movement and to mimic a living insect attempting to reach the safety of solid ground. Thread - Gordon Griffiths 14/0 sheers or similar in tan or brown. Abdomen - 2mm thick foam in tan or brown (Larva Lace foam optional). Front legs - A small bunch of squirrel tail hairs. 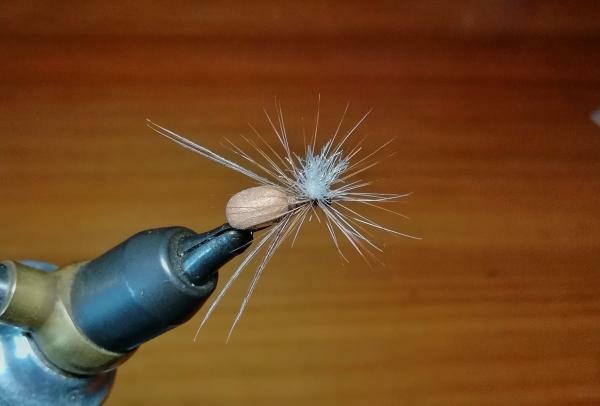 Back legs - Pheasant Tail fibres, 2 on each side. Post - White Antron or similar. 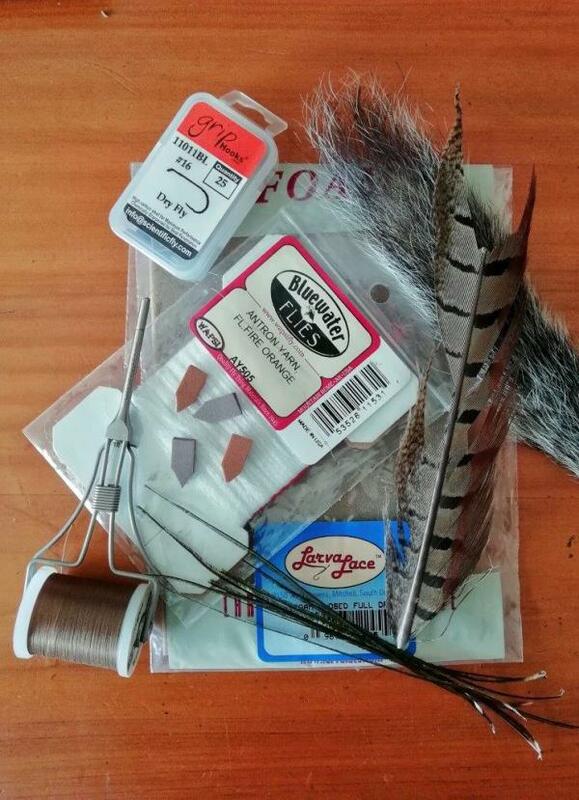 Hackle - Rust or ginger hackle feather.